So its pretty great to wake up in the morning, check your phone, and see a text from your friend that Jake Gyllenhaal is playing our next Spider-Man villain. In a pretty surprising bit of news, the talented has apparently been all but confirmed to be playing the baddie Mysterio in his big screen debut. This comes just weeks before the sequel is set to begin shooting with returning star Tom Holland in a story that will be taking the web-slinger out of his native New York City and to the streets of Europe. Not only did we get news of Gyllenhaal's casting and what character he's playing (Which allows us to skip over months of guessing), but we also no so cast members who will be returning from the first film. The news originally came courtesy of The Sun as a rumor, but has since been confirmed by the likes of THR, Deadline, and Variety. The actors is in talks for the role of Quentin Beck aka Mysterio, a failed special effects technician who uses his skills against Spider-Man. 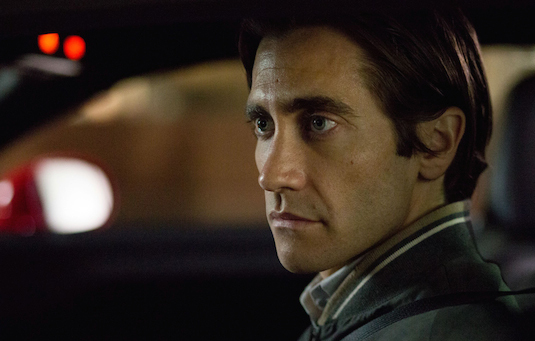 Gyllenhaal has made a huge name for himself a talented actor in Hollywood with recent projects such as Prisoners, Stronger, and the critically acclaimed Nightcrawler, which makes this just another huge get for Marvel Studios. Spider-Man movies have become known for casting some pretty impressive actors including the likes of Willem Dafoe, Alfred Molina, and Jamie Foxx to name a few. The standard was set by the Sam Raimi films, which ironically enough almost featured Gyllenhaal taking on the role of Spider-Man. Following a back injury sustained during the filming of Seabiscuit, Tobey Maguire was nearly recast with Gyllenhaal for Spider-Man 2. Looks like things have finally come full circle, and the actor will get his chance to star in a Spider-Man movie all these years later (He can ask Donald Glover what thats like). 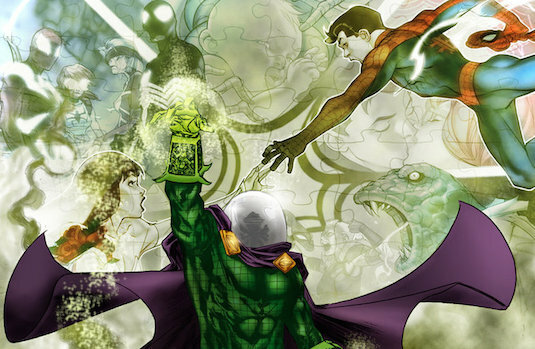 Its unknown how Mysterio will be used in the sequel especially considering the now confirmed return of Keaton's Adrian Toomes aka The Vulture (via Variety), and whether the two will have some kind of alliance. The bread crumbs for the villain team-up of the Sinister Six have already been set with the likes of Scorpion, Vulture, Shocker, and now Mysterio all having been introduced, so we could always see that further teased. Mysterio has never been featured on screen, but brings about a lot of amazing cinematic ideas thanks to his use of illusions and special effects to mess with Spider-Man's mind. So how do you feel about Jake Gyllenhaal playing Mysterio and Spider-Man: Homecoming 2? Would you have preferred to see a different villain or actor join the film? Let us know below!